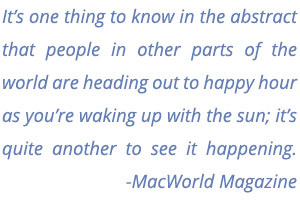 Real time data on your Mac or Windows desktop. updating in the background while you work. Configure the map, sit back, and enjoy the stunning view! Imagine gazing through the window of an orbiting spaceship. Now imagine that view on your desktop. That's EarthDesk. 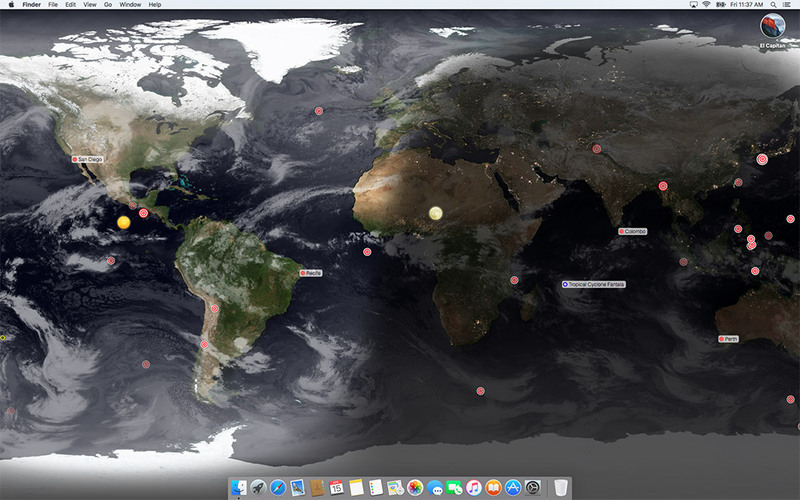 EarthDesk features near real-time clouds, accurate sun, moon, and city lighting, and more. EarthDesk isn't just a pretty picture. As it moves throughout the day, depicting live data, it's a great source of information. 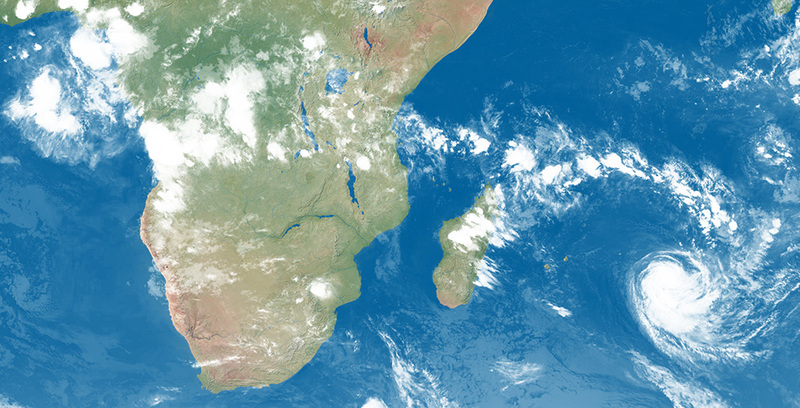 With so many options at your fingertips, gazing at the Earth from space has never been easier! 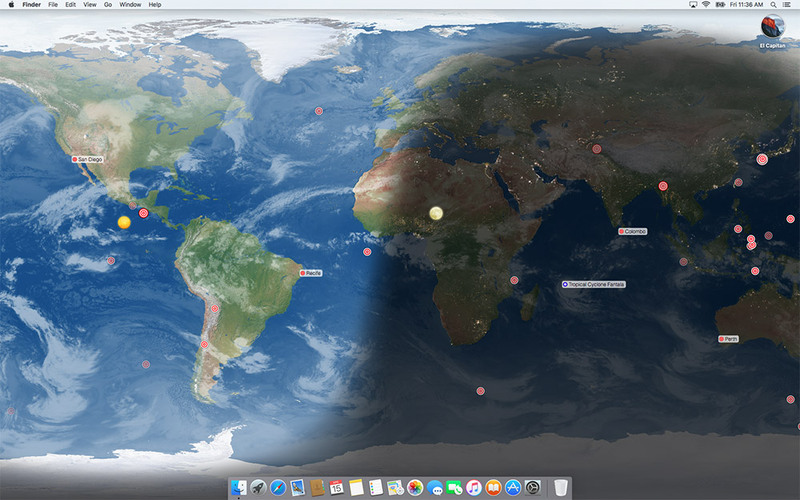 EarthDesk has 12 projections to choose from including Mercator, Azimuthal, and Equirectangular, and a Globe with an optional starfield background. Center on latitude/longitude, a point relative to the sun or moon, or any of 10,000 locations. A data subscription gives you even more centering options. Multi-color labels can be used to group cities by category and pinpoint them on EarthDesk's maps. Labels are defined per-screen for maximum versatility. EarthDesk operates in the background, using minimal resources. Apart from the beautiful picture on your desktop, you won't even notice it is running. One, two, three or more screens can be used simultaneously. 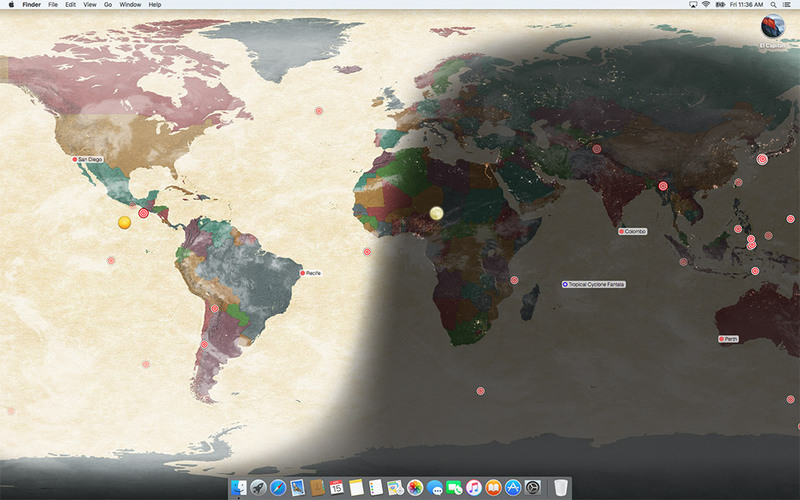 Display a different map on each one, or span a single map across all your screens. 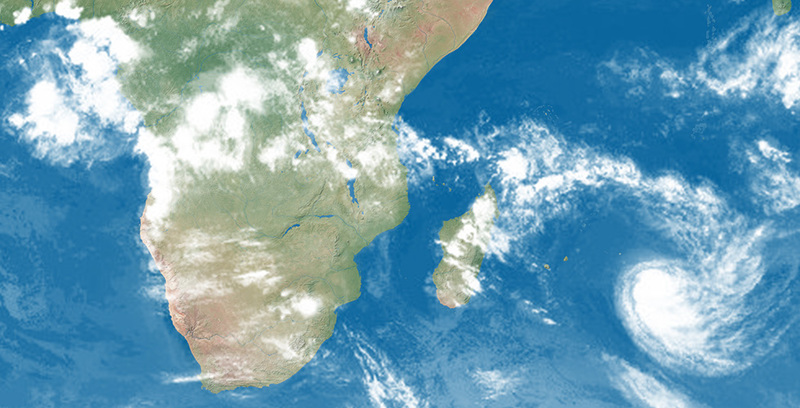 Our free cloud image service provides EarthDesk with global cloud images at a detail of 2 megapixels. Standard cloud images update every six hours. Expand EarthDesk with a data subscription. 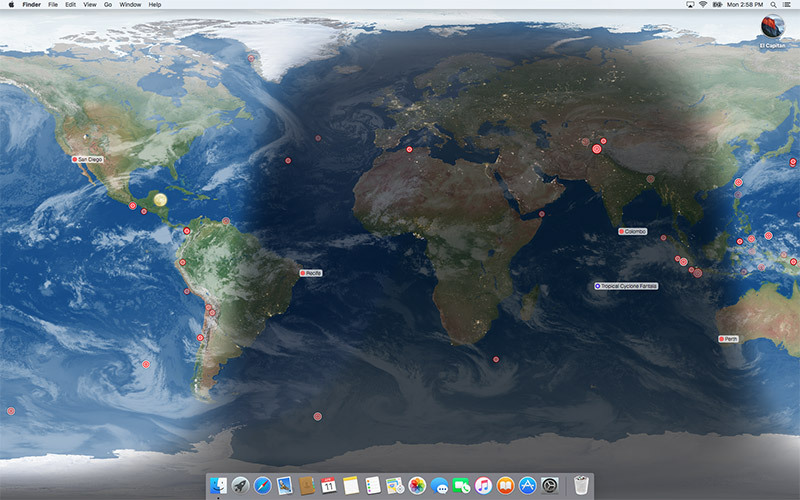 For $11.99 per year, EarthDesk displays precision clouds, earthquakes, storm names, and the International Space Station. Storm data powered by Aeris. Cloud Data Source: SSEC RealEarth, UW-Madison. 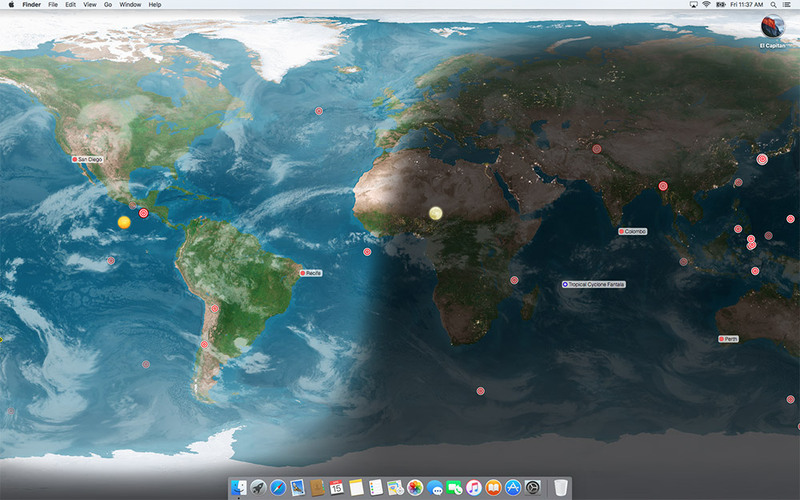 EarthDesk for Mac requires macOS 10.10 or newer and EarthDesk for Windows requires Windows 7 or newer.